We have some some beautiful captive bred hatchling and 6 month old marginated tortoise for sale in stock. 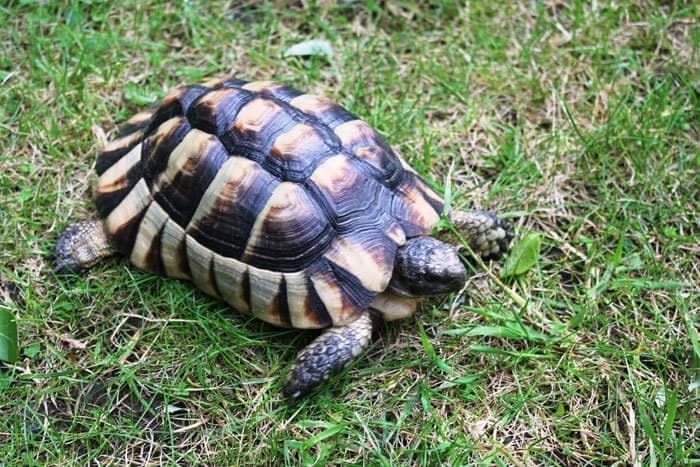 Marginated tortoises are active, personable and fairly easy to care for. They get their name from their beautiful flared shells that are seen as they mature. They are a member of the Hermann's tortoise family and are quite rare in the pet market as they are known for being difficult to breed in captivity when compared to other tortoises. We are proud to say we ONLY carry healthy, captive bred baby tortoises and turtles. Currently, we have a few really cute baby marginated tortoises for sale. 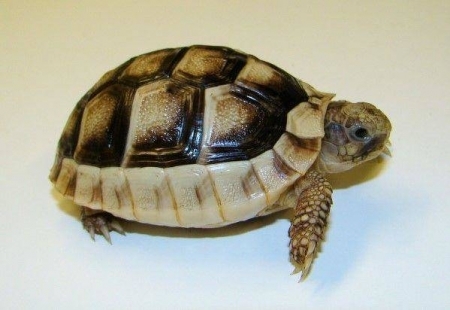 These baby marginated tortoises for sale are active, healthy and with vibrant color. All tortoises for sale ship via FedEx overnight in heated/cooled insulated shipping containers and come with our live arrival and full 7 day health guarantee.